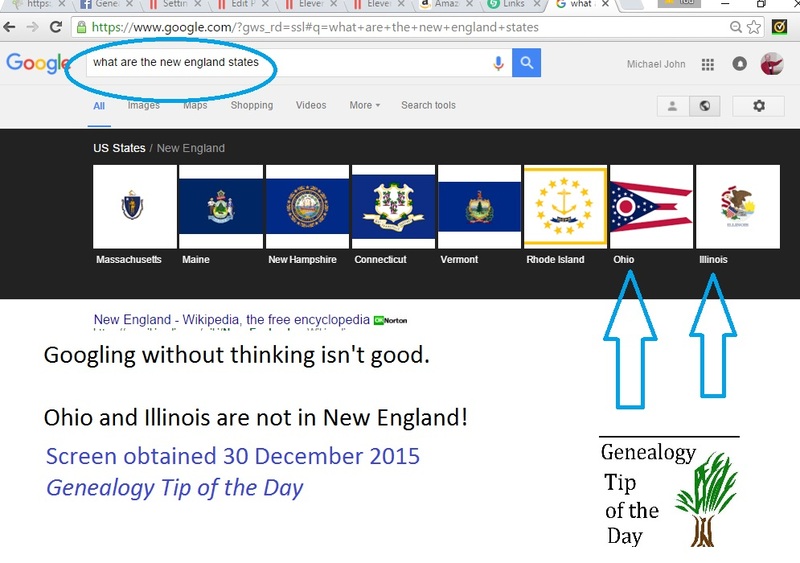 Just a little bit of humor and a reminder to always think before you “use” results from any search. Think. This entry was posted in Uncategorized on December 30, 2015 by mjnrootdig.